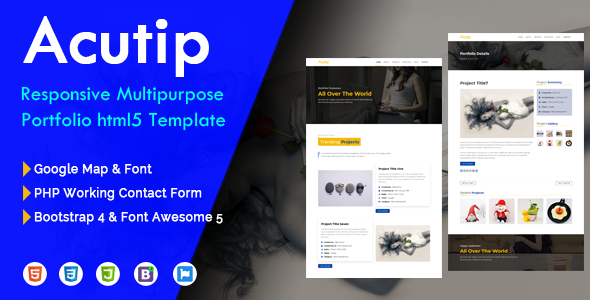 Acutip is a Full Responsive Multipurpose Portfolio Template built on Bootstrap 4 Framework, HTML5/CSS3 and jQuery. Its wonderful features can be used to Showcase your App, Product, Services, Projects. Acutip build with fully responsive design. Indeed, you will be able to showcase your App, Product, Services, Projects on mobile devices such as smart phones and tablets. It has many features like CSS3 and jQuery animations, portfolio filtering, testimonial, Carousel Slider, Working Ajax Contact Form, Mailchimp integrated Ajax Subscribe Form and many other things which are easy to personalize. All the codes are clean and well organized. It looks great with all types of devices. Try out the demo. Note: All images are just used for Preview Purpose Only. They are not part of the template and NOT included in the final purchase files. 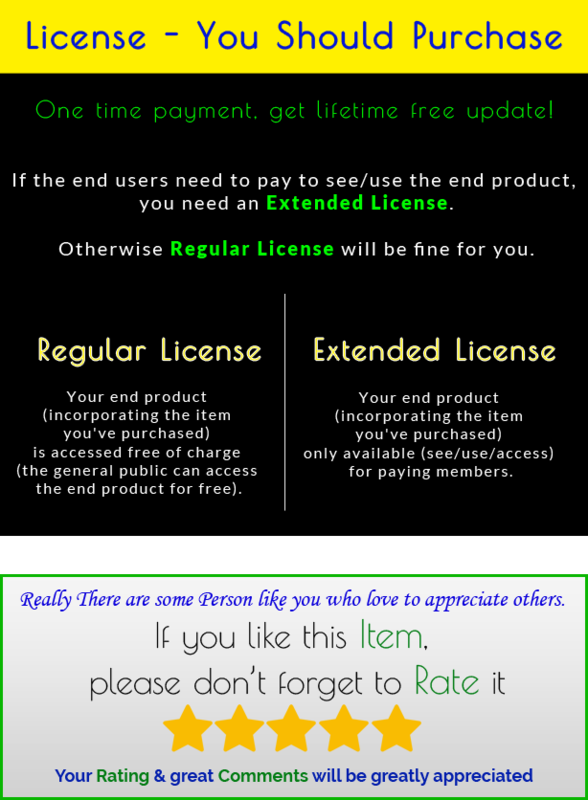 Placeholder images are included in the final purchase download files.